I am writing to strongly encourage you to donate to this project. It is a well managed project impacting the population, that in my opinion, is the most vulnerable and at the same time the one that can create the most impact: MAYAN GIRLS AND YOUNG WOMEN. Education can transform a woman's life and the prospects of her family and community. 19% are still in school by age 16. 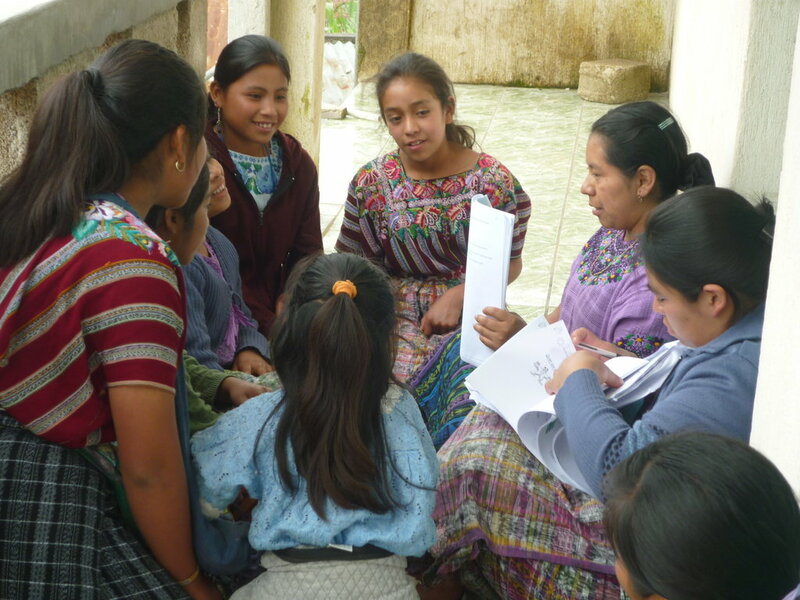 Education is not valued and encouraged enough in Mayan communities and certainly it is less of a priority to educate women. When girls are old enough to start working around the house or in the field they are taken out of school, some will start having children by age 14 and even if they want to keep studying the family decision prevails. This project is making a strong intentional effort to provide opportunities to Mayan women to have a safe environment to grow their intellectual and life skills, working also on their self image and self appreciation. The project works with young women between 17 an 20 years old, teaching them leadership and life skills through a scholarship and a payed internship with the ONG. Young women then work in the community with young girls between 10 and 15 years old and their mothers on skills such as decision making, team work, life planning, reproductive health, etc. During this 30 day fundraising if $20,000 is reached international donations will be doubled. Take a minute or two to explore the web site, there is no small amount, donations start at $10.00. On my way back form doing a summer course at YALE ( I had to throw that in), in the Miami Airport a saw the mural for the project 100 Latinos Miami. Of course, I stopped to see if there were any Guatemalans and sure enough I found two!!! The pictures below are from the expo. In 2009 through the Pollo Campero Foundation she inaugurated an oncological pediatric unit in Guatemala which is sustained through her public relations work facilitating the collaboration of her family's foundation and other foundations. Every time her family business opens a new restaurant, they make a donation to help a child victim of a terminal disease. Answering the questions as to how many children have been benefited she affirms the she knows they are thousands, in Guatemala and the US, yet they will always seem a few. From the 100 Latinos Miami publication. "Came to the US in search of an specialization and found a mission that has now ceased. On top of his professional success, his greatest rewards have come from community service in the organization of his immigrant friends on the Coalition for Guatemalan Immigrants. He has worked in that organization for more than 20 years giving free dental service along with other colleagues. He is convinced that millions of illegal immigrants need to get ahead and be incorporated into society through an integral reform to the immigration system. With great generosity he and his colleagues have donated more the 3 million dollars in free consultations in which all the materials come from his own practice and all the service time offered by the professionals is free of charge" From the publication 100 latinos Miami. Yesterday with our Somalian cab driver who picked us up at the Salt Lake City International Airport we where competing for whose country was suffering more... my country he said is suffering from the civil war, mine I said from the drug war, my people are dying of hunger, mine I claimed are dying from preventable diseases living next to open sewage, etc. Then we went on to exports I asked him if they exported coffee: he said no, we export sugar and bananas (not the get your country rich formula), we do too I said. We concluded we where both banana republics in the full sense of the expression. Later my husband added they also export pirates to which I added a my girls for prostitution. The world is truly going bananas. Today I am catching an early flight to Denver bought a banana and then thought hmm I wonder if its from Somalia or Guatemala. Well as you can see in the picture is from the latter. A $1.00 banana like the ones I get back home for $1.40 a dozen.